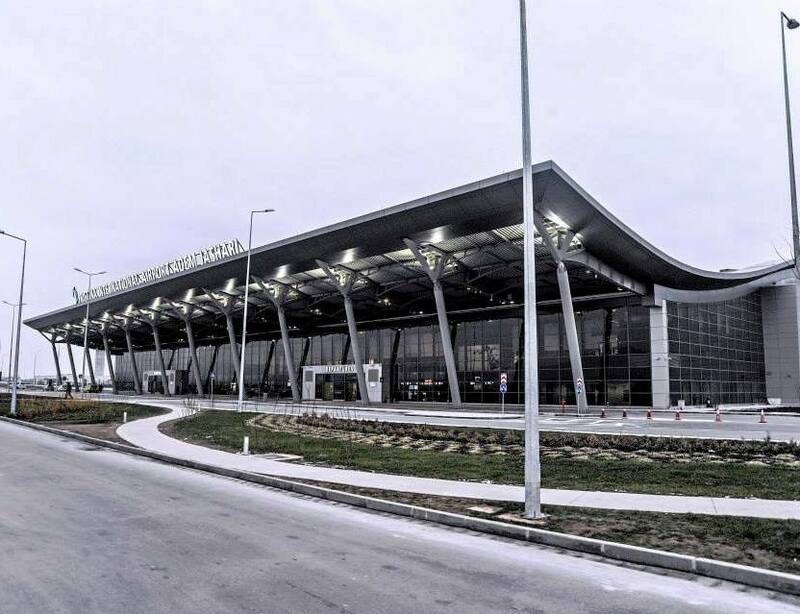 Pristina Airport has become the latest in the former Yugoslavia to seek direct flights to New York, some six years after operations between the two cities were suspended. Pristina Airport's General Manager, Haldun Firat Kokturk, said the US city continues to be a target destination. "The airport is focusing on opening new services to destinations not directly served from Pristina. This should have a positive impact in covering more of the countries and catchment areas where our diaspora is located, and will generate additional passengers visiting Kosovo either for leisure or business", Mr Kokturk noted. Other unserved destinations also being looked into include Helsinki, Dortmund, Memmingen, Milan, Amsterdam, Rome, and Malmo. New York was the top unserved destination from Pristina in 2015. Some 13.000 travellers flew from Pristina to the Big Apple (JFK Airport and Newark Liberty) last year. Of those, 10.000 were headed for New York's JFK Airport. Other routes in North America which saw a notable number of passengers departing Pristina included Chicago, Washington and Toronto. In 2009, Scanderbeg Air, a short-lived tour operator that contracted with Sky King Airlines, launched two weekly flights between Pristina and New York with a Boeing 767-200ER aircraft. Services were maintained twice per week between June and September. The majority of passengers now fly to the US via Vienna with Austrian Airlines and via Istanbul with Turkish. Recognising the potential. Serbia's Prime Minister recently spoke of the importance of resuming service between Pristina and Belgrade in order for travellers to transfer onto Air Serbia's flights to New York via Belgrade. He added that Air Serbia hopes to tap into the large "diaspora of Albanians in New York". The service to the Big Apple has proven popular with a significant number of passengers whose journey either starts or ends in TIrana. Pristina Airport estimates handling some 1.8 million passengers this year with an average growth rate of 11.1%. “We have achieved significant double digit growth in passenger numbers. We are willing to increase flight numbers and extend our network with additional routes, and we are using our incentive plan to attract airlines in order to catch this growth at a sustainable level. We are expecting a very successful next year, especially if visa liberalisation happens in Kosovo”, Mr Kokturk said. He added, "There is huge potential in some other routes and we are cooperating with different airlines to attract them for opening new services”. No serious airline will launch direct flights for just 13.000 passengers. Just like SKP, they can keep on dreaming. It's 13,000 just from the airport. The assumption is that if flights started they would also get passengers from Albania and Macedonia. Like I said, no serious airline would consider these flights. Maybe some charter carrier might be interested like XL Airways or Thomas Cook. As usual some of you don't read carefully. There is no comment on the article about direct flights. They are trying to establish them. Some of you are talking about load factors like you own the airline. Believe me in reality if you ever travel long haul in economy you would wish for an average load factor. It's the most wonderful trip if you have four seats on your own! Seasonal flights could work, especially because they would be able attract passengers from Albania and Macedonia too. That said I doubt anything more than seasonal traffic on this route would be possible at this point. What's the obsession with airports in ex-Yu and New York? You can find at least 50 airports in Europe with far greater potential than any place in exYU. And yet, no major carrier will establish a regular legacy service to these airports. The entire industry is based on hubs and the sooner the frustrated wannabe majors from the Balkans accept it the more time they will have to focus on something that makes sense. +1 for last anon. Agree completely. I agree and anyway, ex-YU demand for JFK can be best served via BEG. Better to have one airport with a decent number of frequencies than a few with one or two weekly flights. Even BEG carries not enough potential to be considered by serious airlines. Currently the only way to see a scheduled JFK service from an exYU destination is that a local airline launches it. This is precisely what happened in BEG - and it would not be possible without some serious support behind it (a serious airline + government). If there will be another scheduled service between exYU and JFK, I would expect OU to launch it before any NA carrier. That pretty much sums it up. Well, government support is always needed, look at LH and TK. Both have a lot of it which makes their expansion possible. Other ex-YU airports should work on having more and more ties to big hubs that offer connections rather than to go after long-haul flights. izvrstan rezultat za sredinu listopada. U avionu je bila velika gužva. Must be nice Zlatibor in autumn, enjoy! Koja je bila struktura putnika? Ovo posljednje nije moj komentar, ali došao sam radi Ponikva, na konfereciju o Ponikvama gdje su me angažirali za panel na konferenciji. Zlatibora puno vidio nisam, ali hotel Mona je zakon. Dobar welnes. Od putnika ogromna većina izašla u Beogradu. Tek 10-tak za tranzit i to nešto Rusa i Njemaca. Why did Scanderbeg Air stop flying JFK - Pristina? They went bankrupt. They use to fly Tirana-JFK too. Does anyone know how they performace on these flights between JFK and PRN. Well the airline went bankrupt so not very good. I can imagine either Adria, Norwegian or Finnair introducing HEL soon. What makes you think Albanians, especially the ones from Kosovo, want to support a Serbian airline? Price and convenience. The universal language of love. I think they should focus more on Europe first. There are a lot of unserved destinations. Apparently easyJet will introduce a few next year. How big is the Albanian diaspora in the USA? Why was my comment deleted? I basically said that all Balkan diaspora numbers are inflated since many are 3rd or 4th generation individuals with multi ethnic backgrounds. It was not deleted. The system categorised it as spam and removed it automatically (probably because of the caps at the end). I have retrieved it now. Last anon, you sound so intelligent, educated and enlightened as if you were JU's CEO himself. Dortmund, Memmingen and Malmo seem like Wizz Air routes to me. With all due respect, why? Because the name equals BEG being named 'Zeljko Raznatovic Arkan International Airport'. Thankfully such guys are no longer considered national heroes in Serbia. Hopefully one day Kosovo will get there as well. Pa biće da ukidaju frekvencije na desetke linija zato što su puni. Clearly Croatian passengers prefer OU or LH, LX, OS and the connections they offer from its hubs. Also, p2p passengers to Turkey are not recovering due to political instability and war in it's neighbourhood. Nothing to worry about. Hope Turkey will recover, and LF will follow. Yet TK is doing wonderfully out of BEG and LJU, just look at their fares, no dumping there. OS currently flies the bulk of US bound passengers from PRN. PRN is a cashcow for them and TK. Maybe its a cashcow but not because of JFK but because of transfer passengers to other European countries. I hope this materializes but like someone said they should first focus on improving their European connectivity. You should always had a wider goal and I'm glad this is Pristina's. There was not just Skanderberg that operated this line. In summerperiod 2005 and 2006 ATA(American Trans Airways) operated 2 weakly flights between New York and Prishtina and New York to Tirana.It became sucsessfull with loads on 40 000 during the summermonths from late may to late september but ATA Airlines went bust. Saberi malo broj ponudjenih sedista i videces da je 40000 prevelika cifra. Braca Grim. It's interestibg that until June, PRN was pretty much the only ex-yu airport to have had flights to the US in the past ren years. Didn't Uzbekistan fly between BEG and JFK back in 2006? You are right last anon. Forgot about those although I do think they operated in 2004. There were many Americans in Kosovo at that time. Are that many there still? There was never any flight from ATA exept the Scanderbeg,dont were u got misinformed. Any future service and it's success would highly depend on the airline. In Pristina's case the best they can hope for is some ad hoc charter carrier as the passenger structure would be almost exclusively point to point traffic. OT Admin, you informed us that Arkia Airlines flights TLV-BEG would have started on OCT,23rd. That's false information. These flights have already started on OCT,16th and today there's one flight more. Check FR24 or beg.aero, it's IZ387/88 equipment E90. The service was recently brought forward. @Anon 13:15 - Admin is also a human being :) No harsh feelings on him/her. Its Prishtine or Skopje. Seems its the first. Oh come on, not even BUD or OTP are currently served to NYC leave alone PRN. And yeah, we all know why BEG is the sole Balkan capital connected to NYC. Kosovo should subsidize NY flight for a couple of years. It could work out, at least seasonally! Btw: i remember the routing for Scanderbeg Airlines when they flew there. It was New YorkJFK - Liege(Belgium)-Tirana-Pritshina . Loadfactor was not bad even when duration and service was miserable. Aircraft was a old crappy 767-200 leased from some charter airline.Scanderbeg Airlines was the name of the tour operator. ^and they advertised the flights as nonstop ! You can imagine their feelings when they made the landing in Liege. So...next summer Croatia will have direct flights to the United States? Any info? I think it's a great idea, I know lots of people based in NY who would love a direct flight to Kosovo. Don't think many would be so happy to go via Serbia! For many, they restrict their visits to Kosovo to once every 2-4 years due to the costs, not saying this will be much cheaper but you would expect it, at least out of season.